I’ve just downloaded and installed the new release of iTunes, 7.0. It comes with Cover Flow which lets you flip through album covers – I’d used an early version on my Mac and it’s extremely nice. 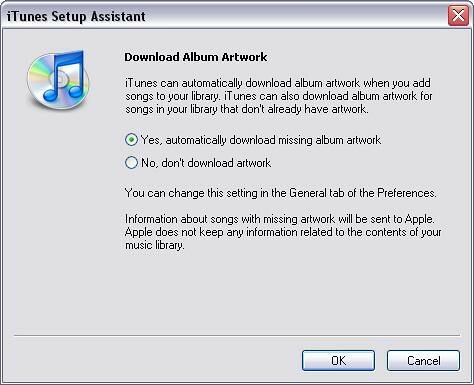 But of course getting artwork means iTunes needs to know what you’ve got in your library – and tell Apple… but it seems that Apple have learned their lesson from the experience with the Ministore..
Next PostNext Welcome to the Zuniverse?